It's only a month away until the release of Hakuoki: Edo Blossoms on the PlayStation Vita, so Idea Factory has released some new screenshots, and we couldn't resist throwing them up. 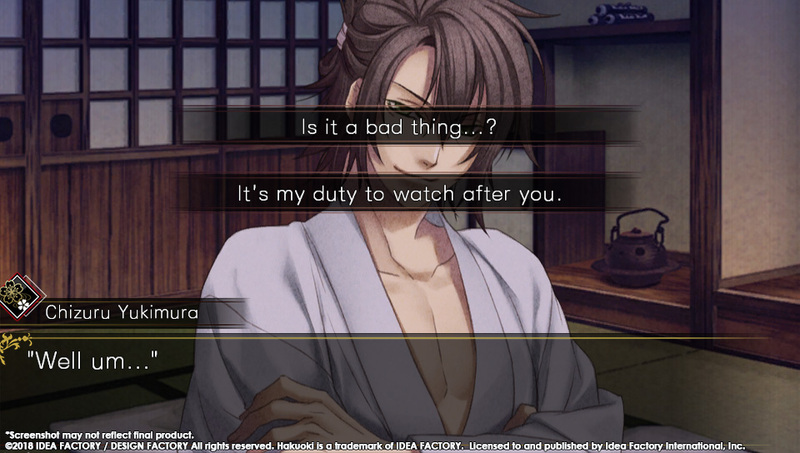 Hakuoki is, for the uninitiated, a visual novel series set in Japan during the events surrounding the Shinsengumi, a military police force. 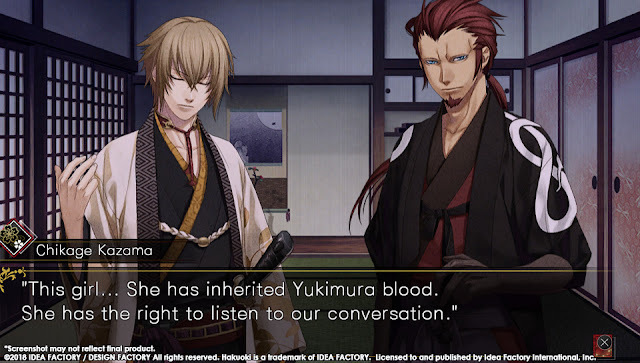 In the game you play as a young woman on the search for her father, who gets caught up in the intrigues of the Shinsengumi. 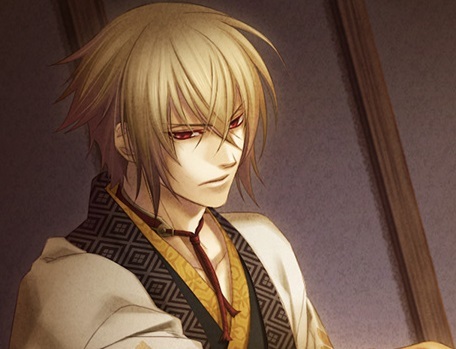 Being that they are incredibly cute boys, you also get to pick a favourite and date them. 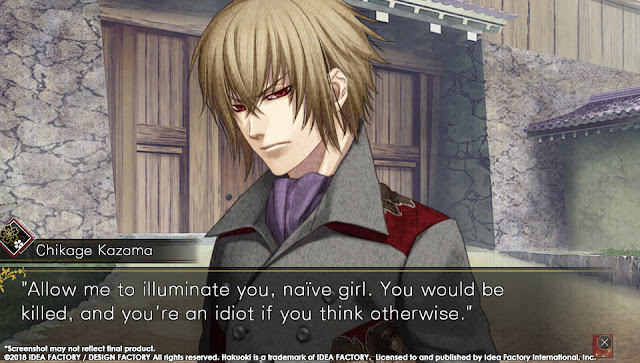 The new screenshots show off Chikage Kazama, as a dating option, and highlight a new gameplay mechanic. In Hakuoki, the Shinsengumi can enter a "Fury" form, where they're basically feral. 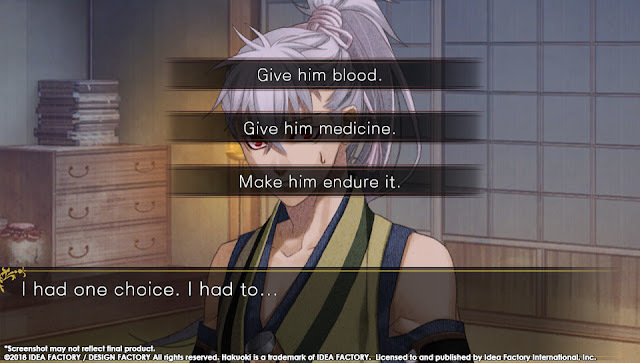 You can choose to give them blood, vampire style, but this will affect their corruption rating, and that could mean the difference between a good ending and a bad one. Tough choice! 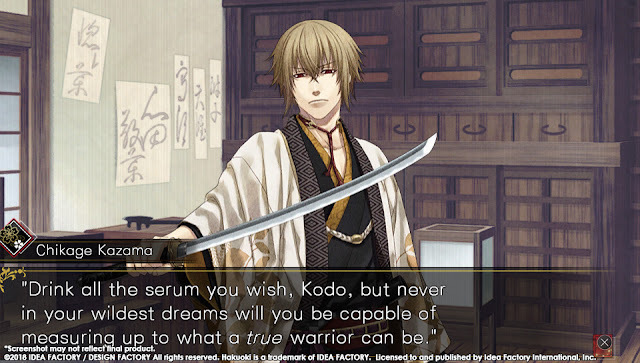 This game is the direct sequel to Hakuoki: Kyoto Winds (review here), so I recommend you play that one before this. 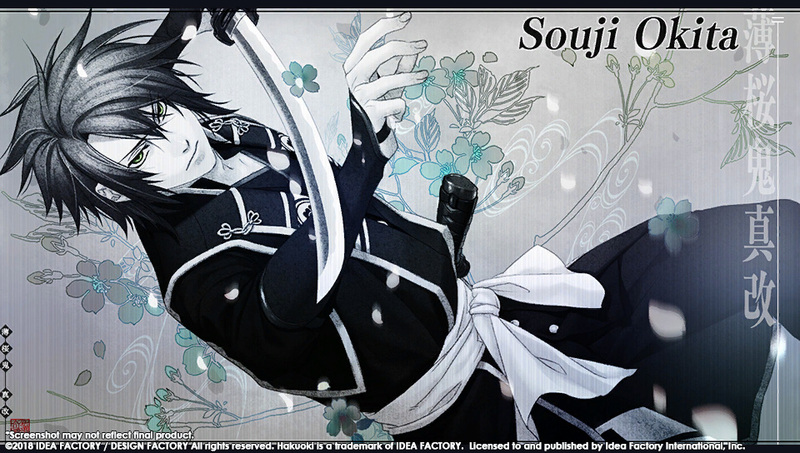 In the meantime, enjoy the gorgeous new screens!